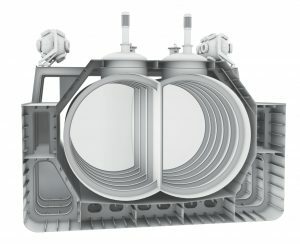 Safe and easy LNG bunkering for Cruise vessels. 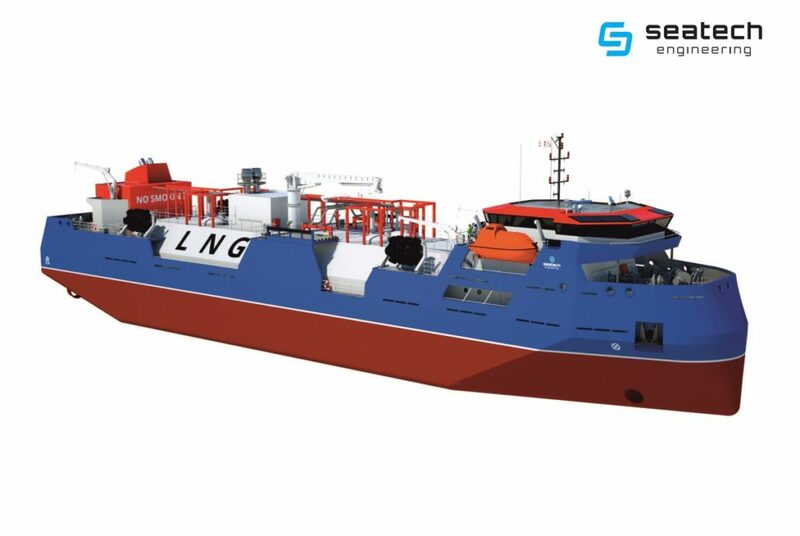 SE-601 is a bunkering vessel suitable for supplying various LNG fuelled ships. 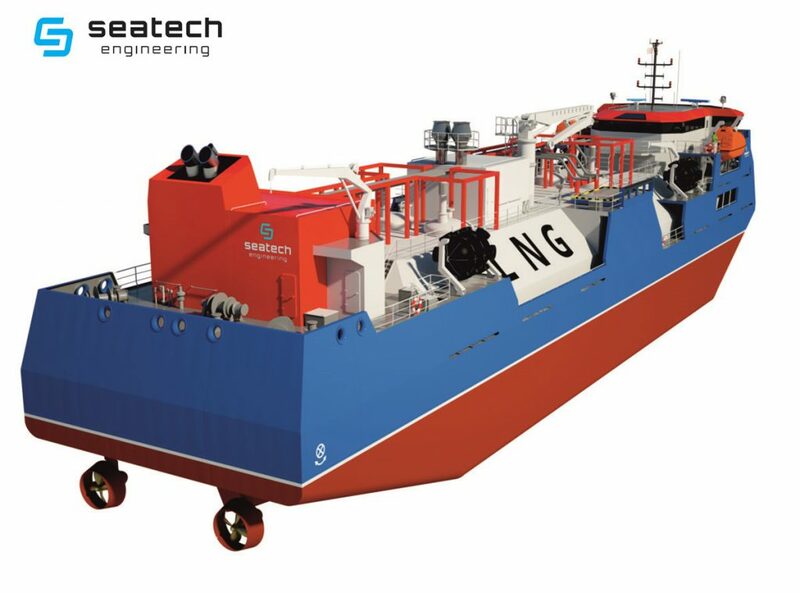 Knuckle boom crane, as well as variable operation draught, ensure flexible operation regardless of bunkered vessel type and LNG bunker station arrangement. Two aft azimuth thrusters and forward transversal tunnel thruster guarantee excellent maneuverability without tug assistance. 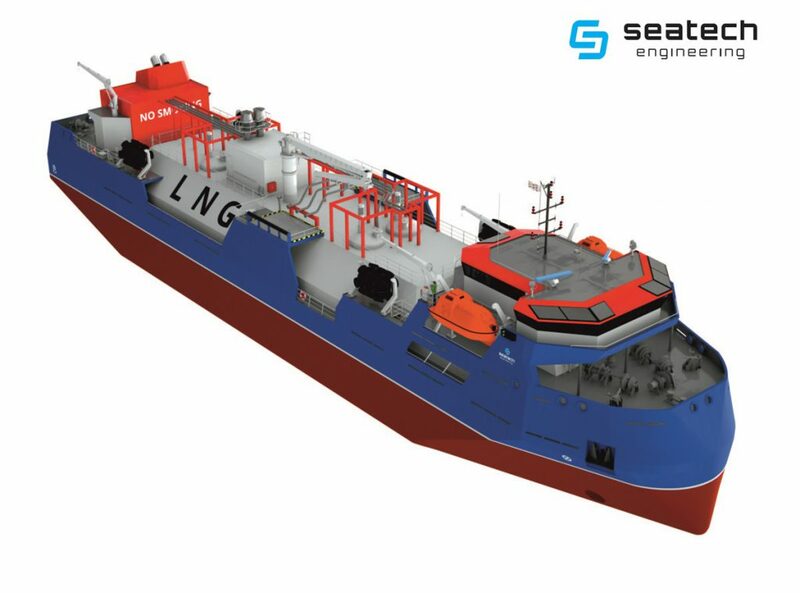 Flexible cargo handling system is ideal for supplying small scale LNG terminal located on shallow waters. 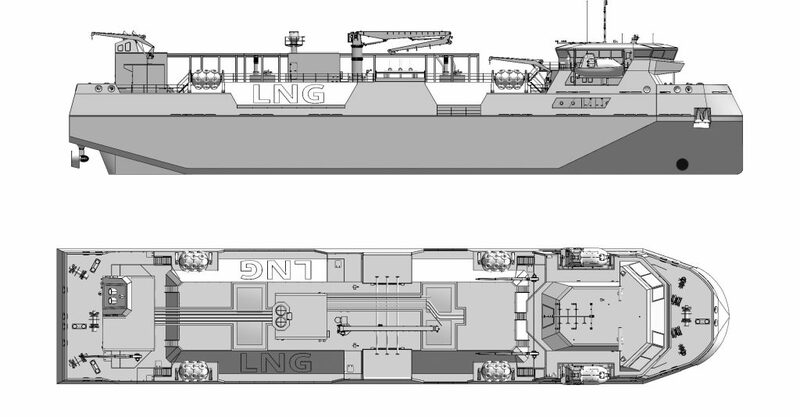 Low air draught allows bunkering operations of LNG fuelled cruise ships and free passing below its lifeboats exceeding the main hull. 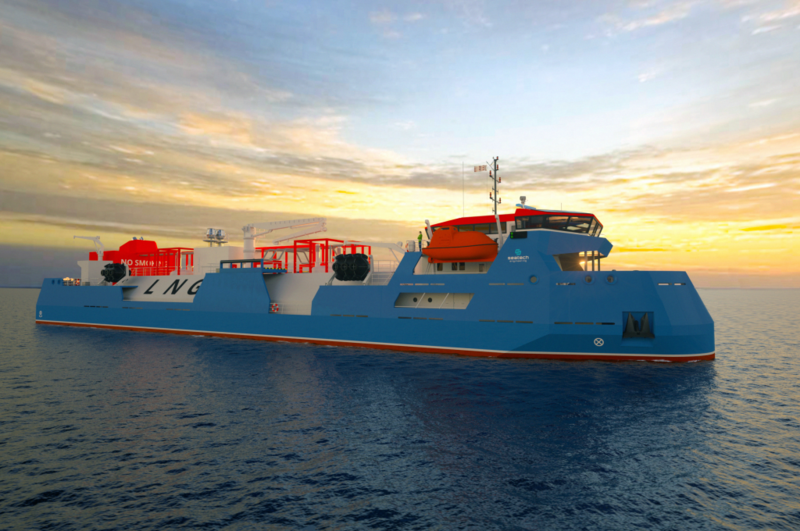 The vessel is suitable for use as small floating power plant fuelled by LNG and supply electric power to harbor grid.